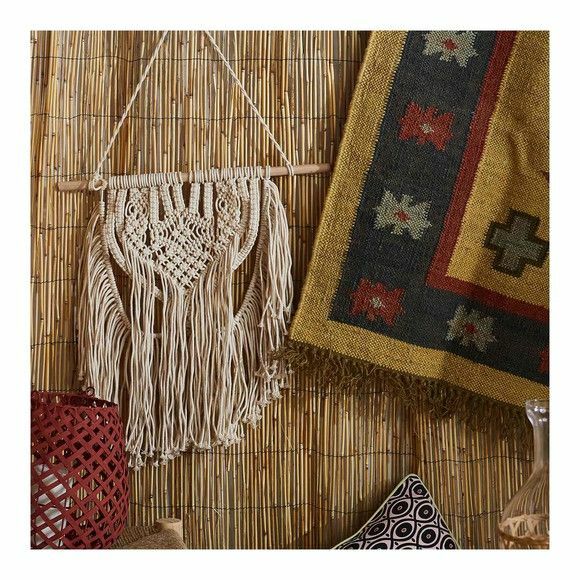 The garden is split into two main areas with the southern part home to the hundreds of succulents and cacti and a Mediterranean garden in the northern part with also a pond and waterfalls planted with plants which enjoy humid conditions. Next to the pond are some loungers allowing you to stop and relax and enjoy the peaceful atmosphere of the garden. 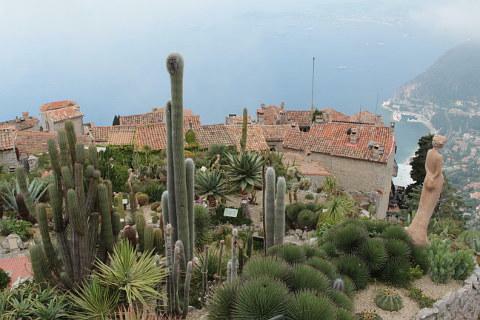 The combination of excellent planting and wonderful views makes the exotic garden an unmissable part of the attraction of the village of Eze. 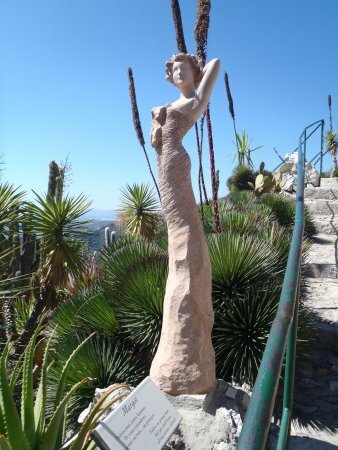 The early garden was a huge success and was extended with succulents, yuccas and huge variety of exotic plants. 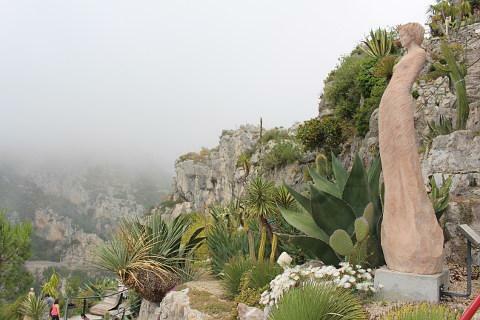 At the top of Eze village is the Garden of Eze, a quirky arrangement of mainly cacti interspersed with beautiful sculptures and deep quotes. You can easily spend a couple of hours marvelling at the views and getting lost on the windy paths that take you around the gardens. Worth the small entrance fee. As if that were not enough a selection of wonderful statues are displayed in the garden. 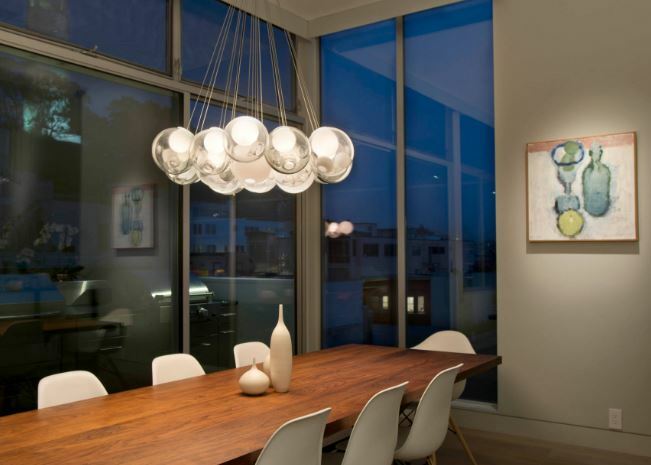 These are by Jean-Phillipe Richard. 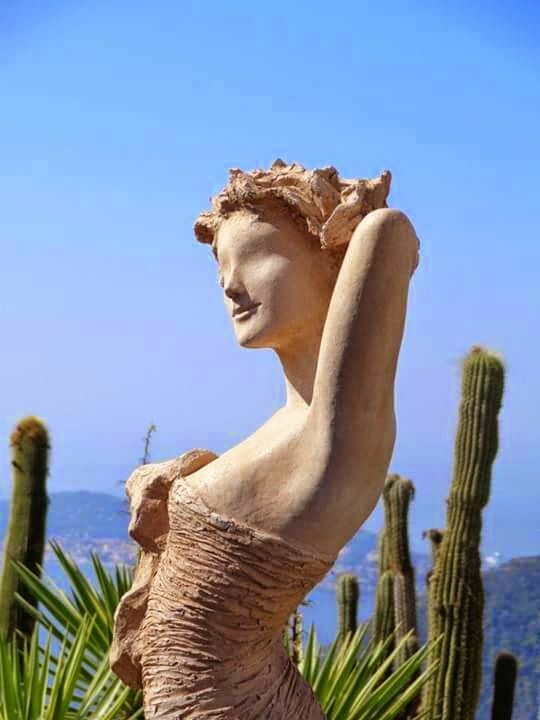 His female statues are made of bronze, clay and crystal and he exhibits all around France. 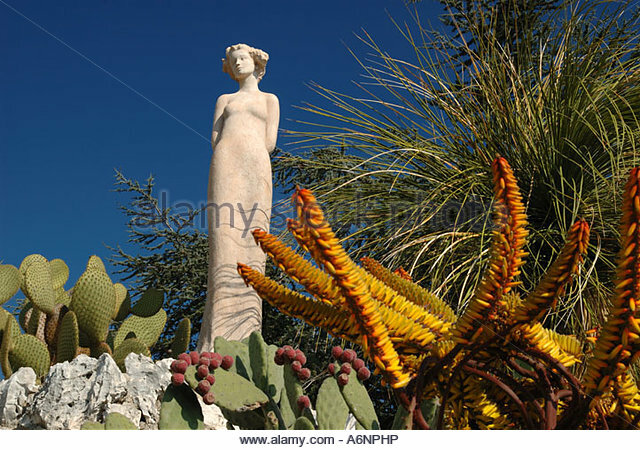 The statues are perfect for the gardens and add to the harmony of the garden. 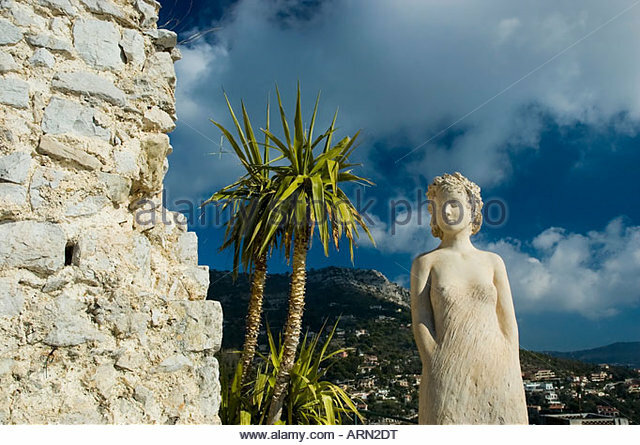 In 1949 the mayor of Eze, Rene Gianton, decided to create an exotic garden in the village of Eze on the site of a ruined fortress at the top of the village. 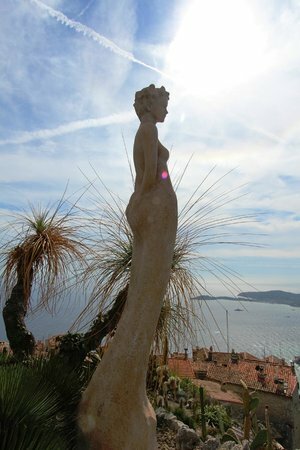 With the help of the creator of the Exotic Garden of Monaco, Jean Gastaud, he began this stunning garden. 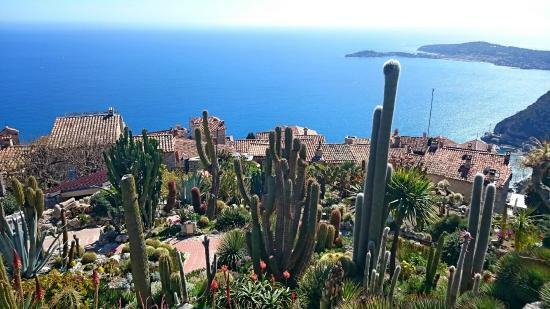 Garden of tropical plants on the crest of the hill that dominates Eze. 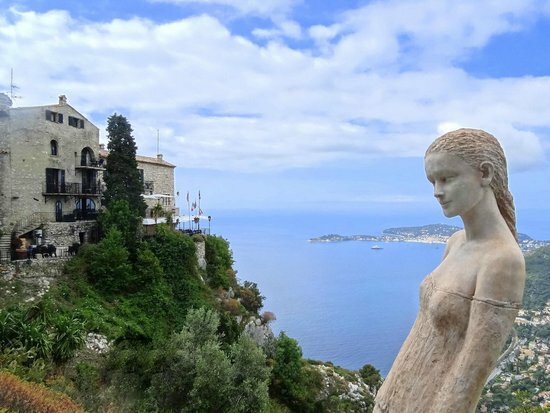 The magnificent coastal towns of Beaulieu-sur-Mer, Monaco and Cap Ferrat are all very close and not to be missed. 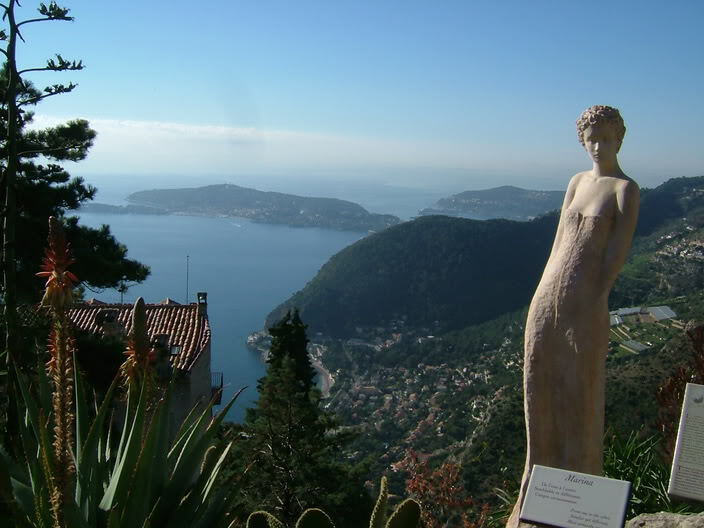 The Exotic Garden of Monaco is another splendid exotic garden and also has stunning views over the Cote d’Azur. The various paths wind up and around the hillside towards the ruins of the fortress at the top. 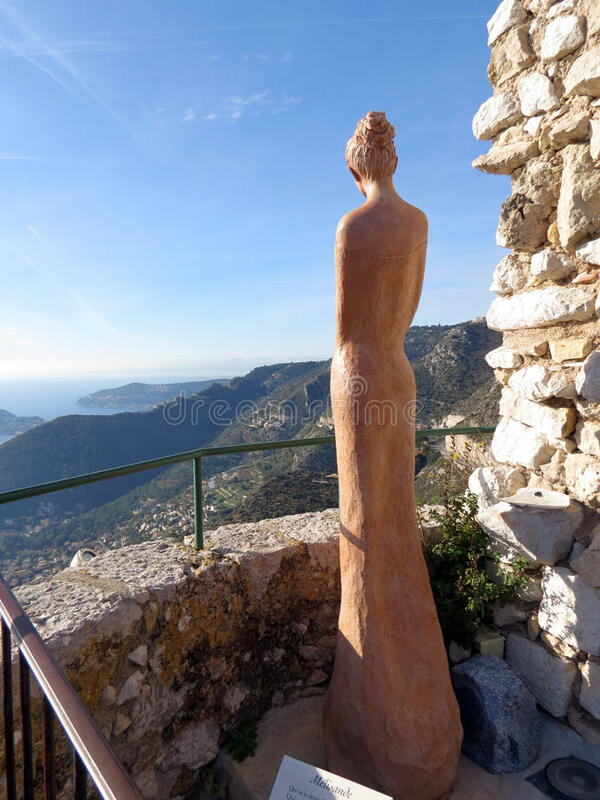 As you explore you get extraordinary views over the Cote d’Azur and over the roofs of the lovely village of Eze allowing you to spot the church of Notre Dame de l’Assomption from above and also the small bell tower of the Chapelle des Penitents Blanc. 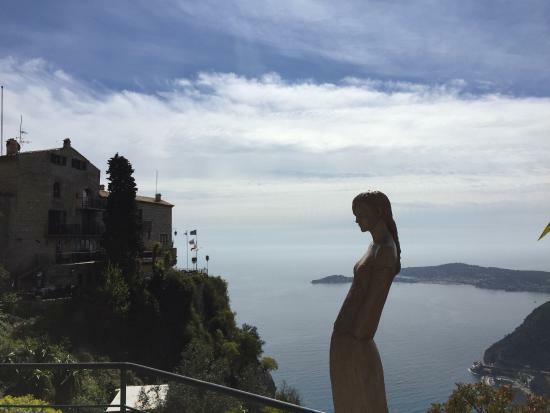 The village of Eze itself is one of the highlights of a trip to Provence. See our top five Provencal villages article for more beautiful villages to visit. Rocks and stones were hauled up the hillside by hand to create the terraces and structure of the future garden. Next cacti, aloes and agaves were carried up. These were a mix of young and mature plants and included a 130 year old crown of thorns weighing half a ton! 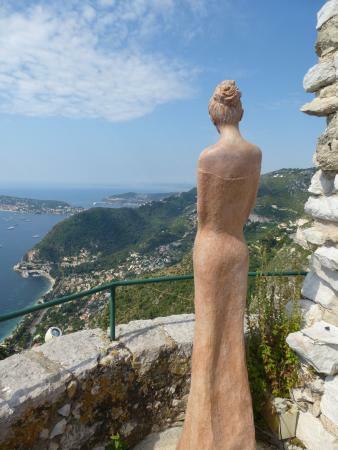 At the top of the stunning hill village of Eze in the Provencal hills is the beautiful Exotic Garden of Eze. 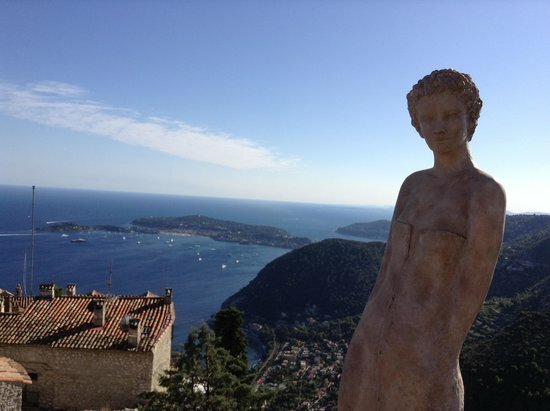 It has been created on the site of an ancient fortress and has incredible views over the Cote d’Azur. The garden is open every day. July, August and September 09.00-19.30; April, May and June 09.00-18.30; January, February, October, November and December 09.00-16.30.